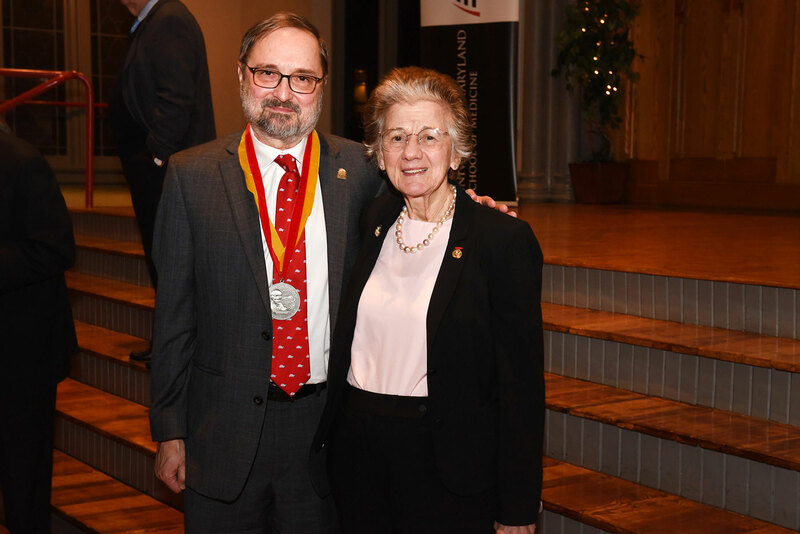 James B. Kaper, PhD, Professor and Chair of the Department of Microbiology & Immunology and Vice Dean for Academic Affairs, was invested as the James & Carolyn Frenkil Distinguished Dean’s Professor on January 10 before a packed audience at Westminster Hall. 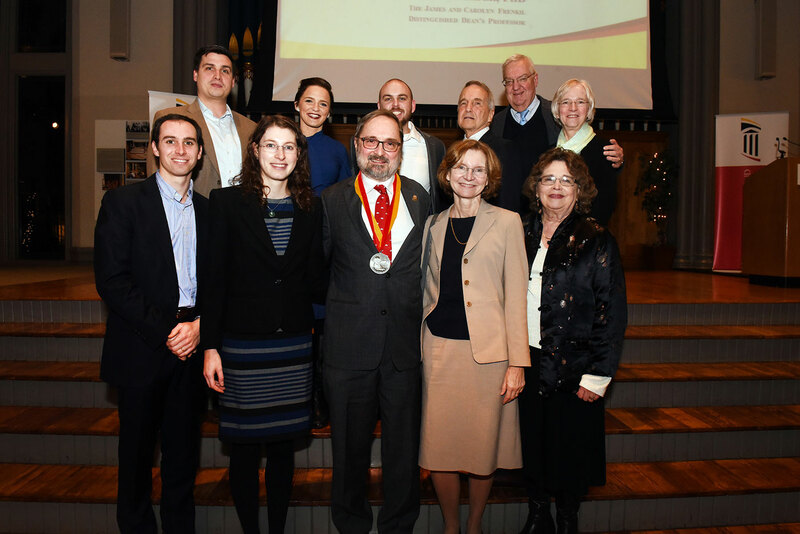 Surrounded by family, friends, past and present colleagues and distinguished scientists, Dr. Kaper joined the elite group of faculty who have been bestowed the honor of holding one of 82 endowed professorships established at the University of Maryland School of Medicine (UMSOM). 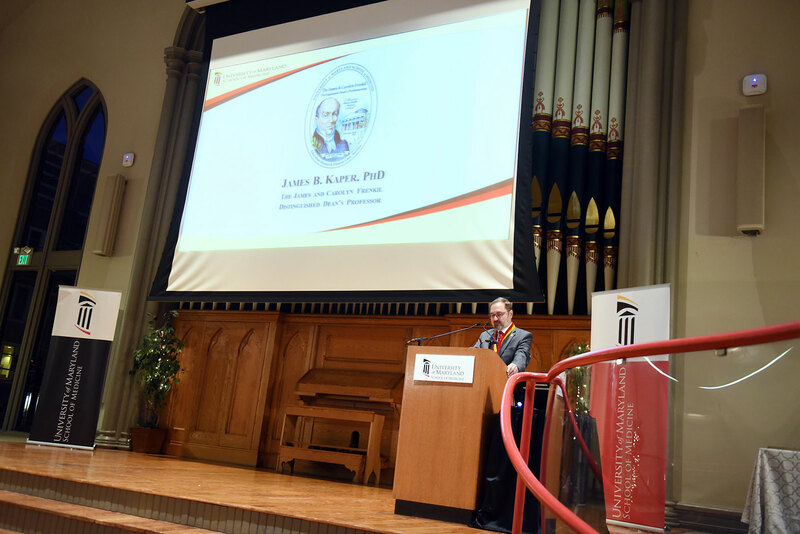 The professorship was the first of two made possible by the James & Carolyn Frenkil Foundation with matching gifts from the Maryland E-Nnovation Initiative Fund administered by the Maryland Department of Commerce. The second Dean’s Professor will be invested to Margaret McCarthy, PhD, who is Professor and Chair, Department of Pharmacology. Carolyn Frenkil, who is President of Center City, Inc. and 10-30 W. North Avenue, LLC, is a longtime member of the UMSOM Board of Visitors. She and her late husband, James Frenkil, MD, UMSOM Class of 1937, have been generous benefactors to the UMSOM initiatives over the years. Dr. Kaper, an internationally- recognized microbiologist with specific expertise in the molecular pathogenesis of diarrheal disease pathogens, has served as Professor and Chair of the Department of Microbiology & Immunology since 2007. He has been continuously funded by the NIH since 1982 as PI of a variety of R01, P01, U19, T32 and other awards, with $21 million in past NIH funding and almost $7 million in current NIH grants. He holds five U.S. patents and numerous international patents for cholera vaccines, and has developed the first live oral cholera vaccine approved by the FDA, along with his longtime clinical collaborator, Myron Levine, MD, Simon and Bessie Grollman Distinguished Professor, Department of Medicine, and Associate Dean for Global Health, Vaccinology and Infectious Diseases. 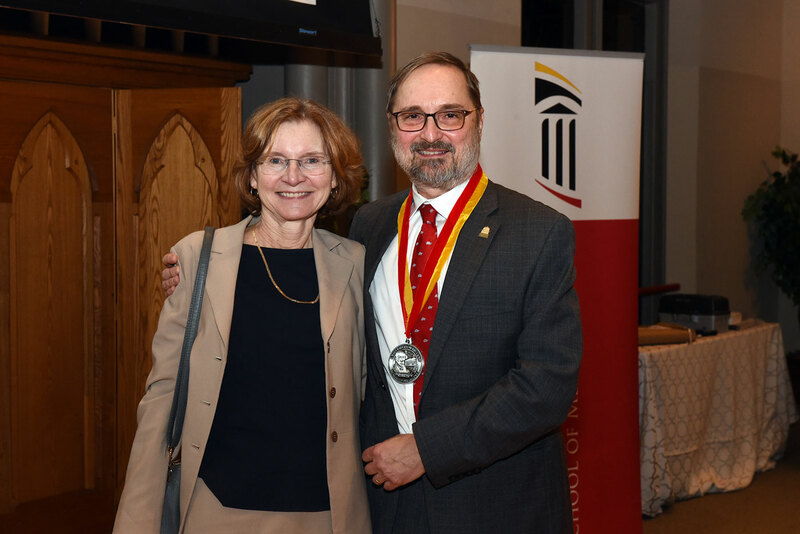 The ceremony was hosted by UMSOM Dean E. Albert Reece, MD, PhD, MBA, along with Mary Pooton, Assistant Dean for Development at UMSOM and Dr. McCarthy. Additional speakers included Carolyn Frenkil, and two former colleagues of Dr. Kaper: Harry L.T. 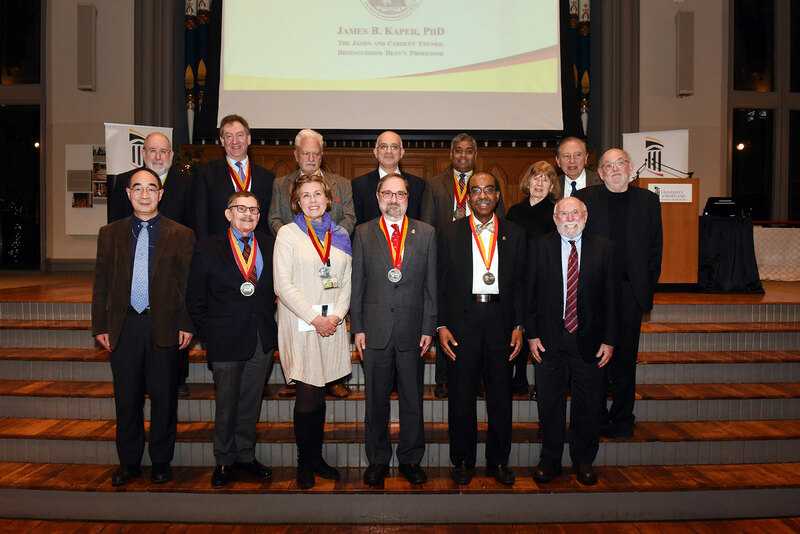 Mobley, PhD, The Frederick G. Novy Distinguished University Professor and Chair, Department of Microbiology & Immunology, University of Michigan Medical School and James P. Nataro, MD, PhD, MBA, the Benjamin Armistead Shepherd Professor and Chair, Department of Pediatrics, University of Virginia School of Medicine. 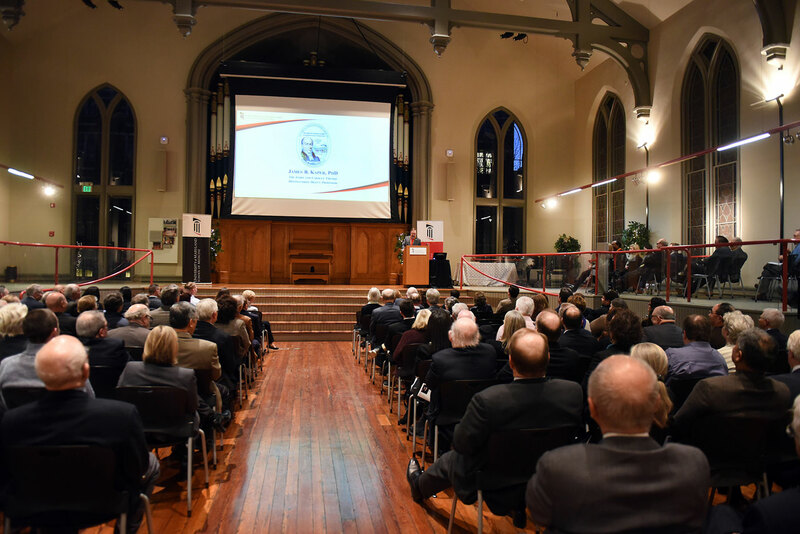 Dr. Kaper’s esteemed career was highlighted by the speakers, including Dr. Mobley who noted that Dr. Kaper’s more than 370 articles and book chapters have been cited more frequently than those of 99.9 percent of all scientists. 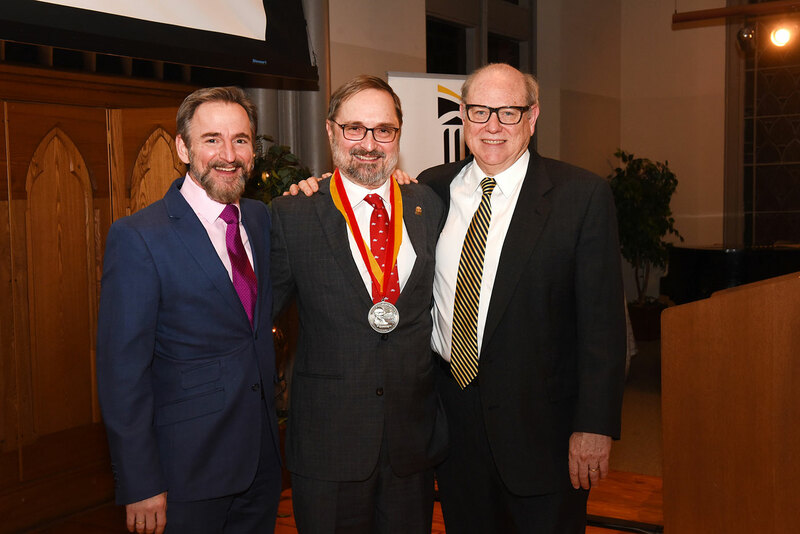 Dr. Kaper credited his success to the mentors he has had over his career, and to the outstanding group of more than 60 graduate students and postdoctoral fellows who trained in his lab, many of whom now hold leadership positions in preeminent academic institutions.